Pull the vehicle off the road. Remain calm. Do not be argumentative. Remain in the vehicle unless ordered out. Turn off your engine, headlights, radio and cellular phone. Turn on your flasher lights. Keep both hands on the steering wheel (10 and 2 o’clock position). If I am in a vehicle accident, what do I do? 911 is available 24 hours a day to provide immediate assistance. Dispatchers have the ability to dispatch Police, Fire, and the Emergency Medical Services. If possible, try not to move your vehicle until a police officer arrives. Not only may your vehicle be unsafe to drive, but also a proper investigation can not be conducted if the vehicles have been moved. You may come to the police station Monday – Friday from 8:00 AM to 5:00 PM to meet with the on duty officer, or you can call 208-847-1324. After hours or on weekends, you can call the dispatch center at 208-945-2121. How do the police decide which calls to respond to first? All requests for police services are assigned to priority, based on the seriousness of the incident and the potential for injury or damage to property. At times, calls of less urgent nature must be delayed so that we can respond immediately to emergencies. Dispatchers are trained to try to get as much information as possible to best determine the nature of the problem and its seriousness. On emergency calls, the dispatcher has already sent the information to the officer while asking additional questions. Please contact the Police Department at 208-847-1324 prior to coming in for a copy of any report. We will be happy to check if the report is completed and if there are any restrictions for its release. The Police Department depends on citizens calling to report crimes or suspicious activity. The dispatcher who takes your call will ask questions about the activity to determine its nature, and will ask for descriptions of the people involved. You may be asked if an officer may contact you, but you may decline and remain annonymous. We have a problem with speeders or illegal parking in our neighborhood. What can we do about it? Call the Police Department, at 208-847-1324, and request extra patrol for this area. You may come into the Police Department in person, and properly identify yourself. Please do not call our office as we are not authorized to release that information via phone. 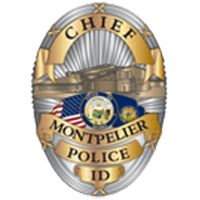 If you have an animal control issue that you would like to discuss and/or report, you can contact the Montpelier Police Department in person during business hours or by phone at 208-847-1324. Paul Hess, who is the ordinace enforcement officer for Montpelier, works from 8:00 AM to 4:00 PM Monday through Friday. The dispatch center maintains a list of area locksmiths, and would be happy to assist you in contacting them. The police department will only unlock cars in emergency situations, such as, if a child is in the vehicle. There is graffiti on the wall that borders my subdivision. What can I do to discourage graffiti from appearing again? Graffiti is a persistent problem in all cities, including Montpelier. It is detrimental to property values and negatively impacts the quality of life for Montpelier citizens. The longer graffiti is allowed to remain on a property, the more it invites additional markings and criminal activity in the area. Rapid removal is the key to controlling and eradicating graffiti. When graffiti is removed promptly, “taggers” are less likely to return to add more. To report graffiti call the police dispatch at 208-847-1324. Please have the address where it is located, or directions how to get to it when you call. Use dark colors of paint on buildings and surrounding fences. Plant trees, vines or shrubs to screen solid walls. Install motion sensitive lighting directed at vulnerable surfaces. Remove objects that could give taggers access to the roof and reduce access to any hidden area were taggers could hide. Generally, make everything on the property highly visible or highly inaccessible. A property owner wanting to remove an abandoned or junk vehicle left on the premises may contact the Police Department for assistance. The police will attempt to locate the owner, or determine if the vehicle is reported as stolen. If the vehicle is abandoned, then with the property owner’s permission, the police can contact a local wrecker service to remove it from the property. Towing charges will be charged to the owner of the vehicle. I have questions or concerns about a police officer’s procedures. Is there someone I can call to discuss the matter? These matters can usually be resolved by speaking to the officer’s supervisor. You can call 208-847-1324 and ask dispatch to have Chief Russell Roper return your call. If you are not satisfied with the result, you can come to the police station and complete a formal, written statement that will be investigated by the Chief Russell Roper. How do I get a Restraining or Protection Order? This varies according to your situation. For personal assistance contact the Bear Lake Magistrate Court at 208-945-2208 ext. 6. How do I find out the status/disposition of my police report? If you would like information about the status or outcome of a police report that you made, call 208-847-1324. Give dispatch the case number, date, the investigating officer’s name, and your phone number. Dispatch will contacted the officer and have him contact you to discuss the case with you. Are tours of the police department available or can I have a police officer come to my school/church to speak to a group? You can contact dispatch at 208-847-1324 to leave a message for an officer to contact you to schedule an event. You can also visit the Staff page on this website and email us for more information. How do I find out if someone is in jail, when someone in jail can be visited, or any other information about persons in jail? Bear Lake County prisoners are housed at the Caribou County Jail. You can contact the Caribou County Jail at 208-547-3094. They will be able to tell you if the person is currently incarcerated, the charge, the bail amount, and their visiting hours. Where do I go to pay Montpelier Code & Ordinance Violations or traffic and other citation? Code & Ordinance Violations can be paid at the Montpelier City Clerk’s office, or you can mail it to 534 Washington Street, Montpelier, Idaho 83254. Traffic and other citations can be paid at the Bear Lake County Magistrate Court at 7 East Center, Paris Idaho 83261. If you have questions about the citation you can contact the court at 208-945-2208 ext. 6.